There aren’t many things that are more fun than getting a personal letter or package in the mail, are there? Last month, my dad sent the boys a mysterious postcard with an alphabet chart and some funny symbols all over it. “Whatever could this mean?” I asked. “Do you think it’s a secret code?”I wondered. Suddenly they were much more interested. At first they were completely stumped, but after I asked Wyatt a few pointed questions, he cracked the code and began decoding the message with a great deal of enthusiasm. The next day a longer message appeared, along with a stack of pre-printed pages to make writing coded messages easier. 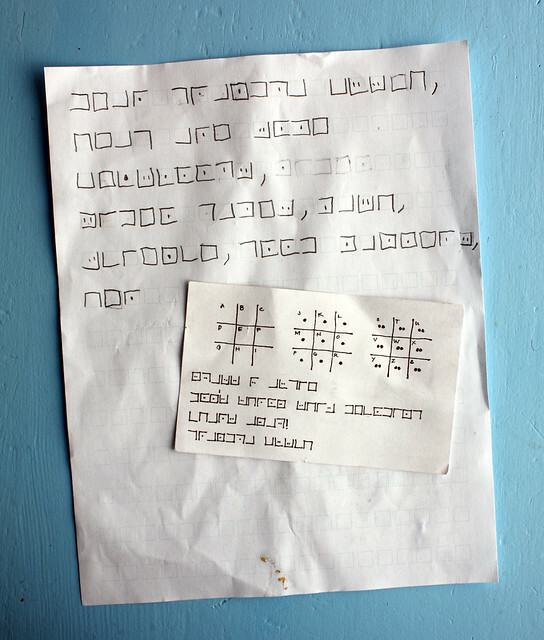 Wyatt decoded that one too and after a few days of gentle prodding on my part, he wrote a message back to his Grandpa. They haven’t sent a ton of messages back and forth yet, but I’m hoping this is a way to keep letter writing interesting for him. 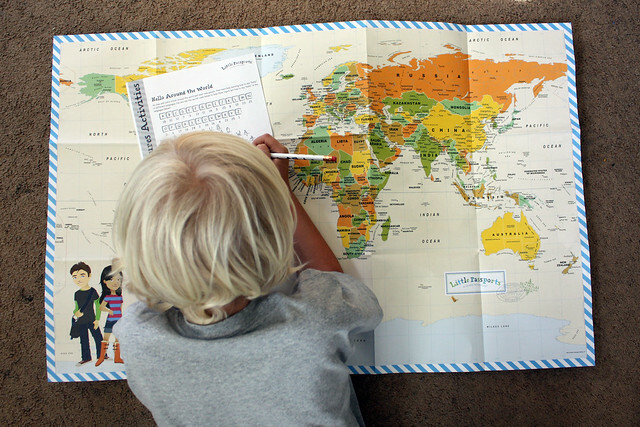 Little Passports is a subscription service that sends a package featuring a different country to your child every month. We recently had an opportunity to try out the starter kit and Wyatt was instantly hooked. While he still enjoys doing Kiwi Crate projects sometimes, he’s starting to get a little old for them so I think we will add a Little Passports subscription to our monthly package deliveries. The box is meant for elementary school kids aged 5-10 and it comes with a bunch of stuff that made Wyatt excited to learn about geography. There is a small suitcase where he can store his monthly kits, a letter and postcard from Sam and Sophia (the kids who are “sending the packages”), a passport Wyatt can stamp as he “visits” each country, a big fold-out world map, and an activity sheet that included puzzles and another code for him to crack. We also received a pass code that let him log in to the website and participate in some online games and activities. Fun! I asked Wyatt to tell me what he though of it and he said he liked solving the puzzles and looking at different countries on the map. He also told me he felt like he would enjoy learning more about individual countries, so we are looking forward to delving a little deeper as our subscription ramps up. Speaking of Kiwi Crate, we are still receiving their green box every month. Augie and I love to do them together on Mondays when he is home with me. I also ordered one of their special Crafty Christmas holiday kit as an extra treat. This particular kit contained two projects — a paper “gingerbread” house and the materials to make painted ornaments. (A Hanukkah and handmade gift kit are also available.) 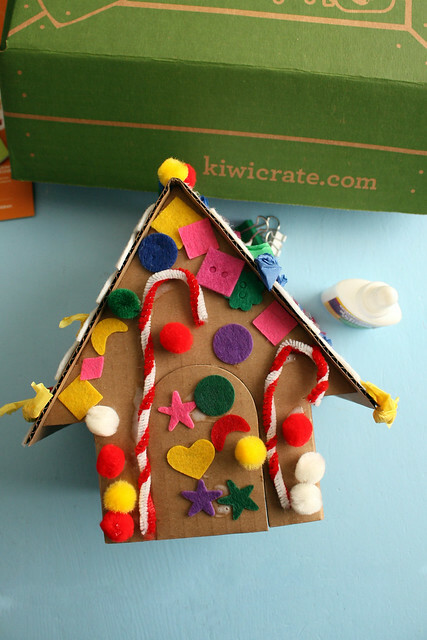 The gingerbread house kit was a lot of fun to put together (for both kids) and I am planning to make the ornaments with them later this week. I’ve been goofing around a bunch on Pinterest lately and I’ve stumbled on to the wonderful world of mail art. 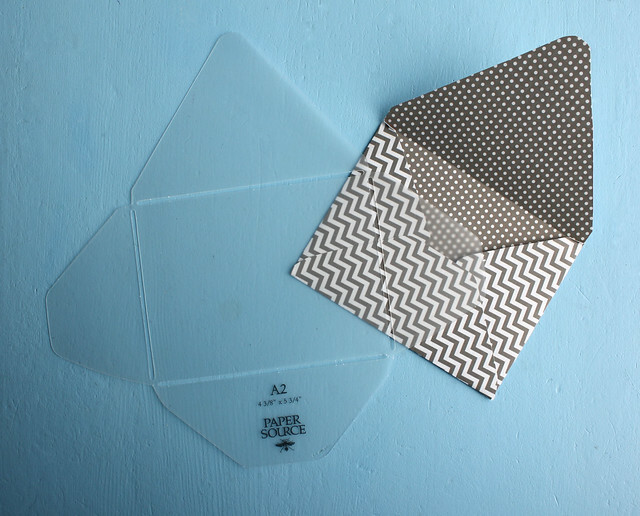 I’ve known about mail art for years and years, of course, and I used to spend time decorating the envelopes I used to send letters in college (Those were the early days of email and not all of my friends had email accounts then. Gah! I’m so old! ), but I’ve never really looked into the mail art subculture until recently. I’m still reading about it and as I see cool ideas I’ve been pinning them to inspire me. The first thing I did was start messing around with making my own envelopes. I tried to just wing it a bit, but my envelopes ended up looking pretty wonky, so I sprung for an envelope template set at Paper Source. I love how they look and now I can’t wait to mess around with art to put in the envelopes once the holiday hubbub calms down a bit. 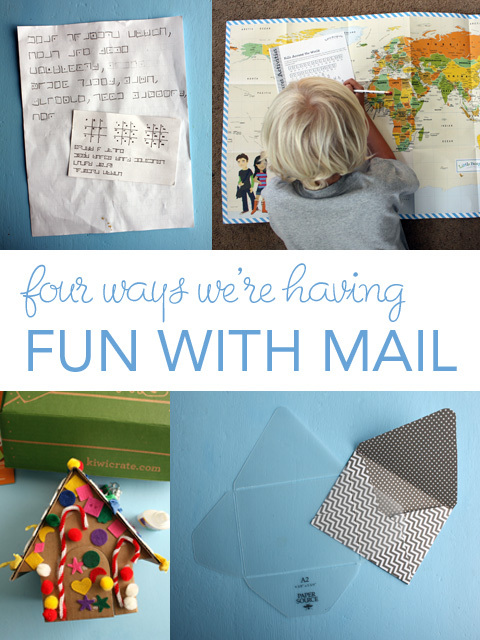 Are you mail obsessed? What do you like to send and receive in the post?